2014 started with a very nice exhibition in Bibliotheca Wittockiana: “Le Temps des Cites”. In this exhibition the museum showed the original artwork that were part of the gift by François Schuiten to the King Baudouin Foundation. With 2924 visitors the exhibition was a huge success for this small museum. The King Baudouin foundation also showed some artwork of Schuiten during the Brafa 2014 expo. During these first months of the year Benoît Peeters and François Schuiten were the guests on several radio programs. Benoît was interviewed for the Belgium VRT program Klara. Together with François he joined Par Ouï-Dire in April. François Schuiten was guest in Comme il vous plaira, Je vous écris de Bruxelles, L'atelier de François Schuiten and Marche de l'histoire: Le témoin du vendredi : François Schuiten et Bruxelles. François Schuiten was also guest in the TV program Coffe en tram. In March François Schuiten, Benoît Peeters and Bruno Letort made a new performance of spoken word and music: Souvenirs de l'éternel présent. In August Benoît Peeters visited Shanghai to discuss the work of Alain Robbe-Grillet. He also visted Kyoto. During the visit a casting was made of Benoît's hand. The museum has a large collection of castings of artists' hands. Many greats are there including Moebius. In May another exhibition to celebrate the gift of Schuiten and Peeters started in the BnF in Paris. Les Coulisses des Cités Obscures was organized in the gallery of donors of the BnF. It presented the original artwork of four albums donated by Schuiten and Peeters to the BnF. In 2014 several new translations of the Obscure Cities albums were published. La Tour was translated in German, Brüsel, L'Enfant Penchée and L'Ombre d'un Homme in Croatian and a Russian translation was made of L'Enfant Penchée by Mitya Suchin as a community effort. L'Enfant Penchée was also translated in English. The Leaning Girl, the English translation by Steve Smith of Alaxis Press brought Schuiten and Peeters to Comic Con. San Diego Comic-Con International is a multigenre entertainment and comic convention held annually in San Diego, California. Schuiten and Peeters had two official convention autograph sessions and a two hour panel was held as the “Spotlight on Benoît Peeters”, followed immediately by the “Spotlight on François Schuiten”. During the ComicCon the Eisner Awards, considered the “Oscars” of the comic book industry, has been given out in 30 categories. 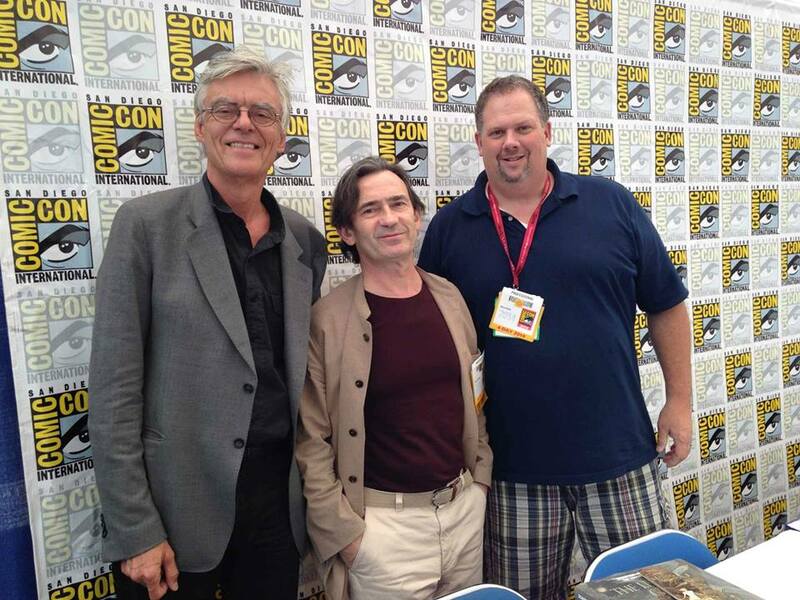 François Schuiten and Benoît Peeters were presenting the Eisner awards for Best U.S. Edition of International Material, Best U.S. Edition of International Material—Asia & Best Adaptation from Another Medium. In October Belgium Bpost published the stamp Le monde du train / De wereld van de trein. The stamp made by François Schuiten is the first official Belgium stamp with ‘augmented reality’. When you hold the page with the stamp before smartphone or tablet, you will travel through landscapes on your computer screen. Next to this stamp François Schuiten made posters for several events: Les Baladins du Miroir, Bains Numériques, Ombres et lanternes, Ars Musica 2014 and the European Union Choir. Also new silkscreens were made of Les Serres Chaudes, Vivement Dimanche!. Together with Laurent Durieux Francois Schuiten made the poster for ARS Musica, which were turned in two silkscreens by Nautilus Art Prints: Ars Musica (regular) by Nautilus Art Prints and Ars Musica (variant) by Nautilus Art Prints. ARS Musica directed by Bruno Letort was not the only music related topic for Schuiten and Peeters in 2014. In March La Frontière Invisible in Textes en Musique was performed in Théâtre de Bouffes du Nord (Paris). Benoît Chantry performed his Les cités sonores in June. SvenSson published a new video of his song Hostile, which is inspired by the Obscure Cities. In November comic shop Brüsel published a double vinyl LP record by Bruno Letort: Le Monde sonore de François Schuiten. 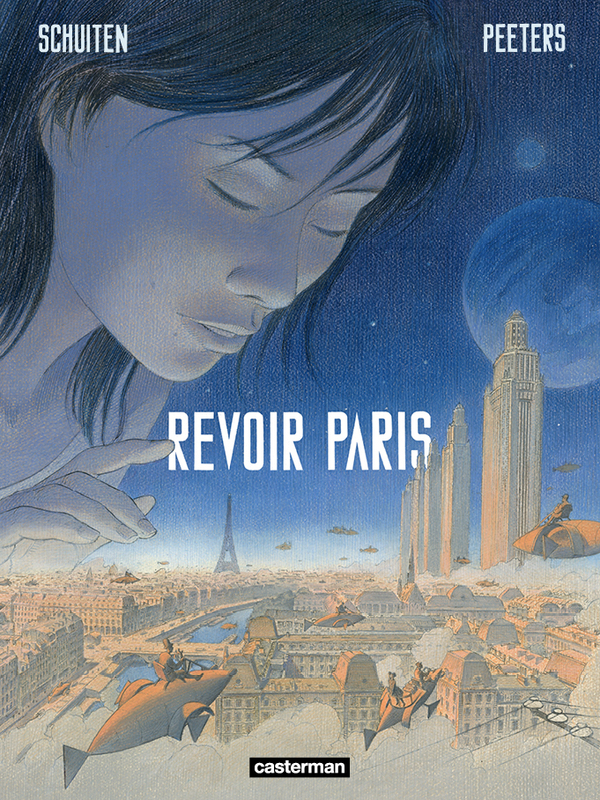 2014 ended with the publication of a new album by Schuiten and Peeters: Revoir Paris. Although it is a joined project by Schuiten and Peeters it is not one in the Obscure Cities series. The story is a history of science fiction around Paris. It is the first volume as the album will have two volumes, with a total of about 110 pages. The album is published in French and Dutch. 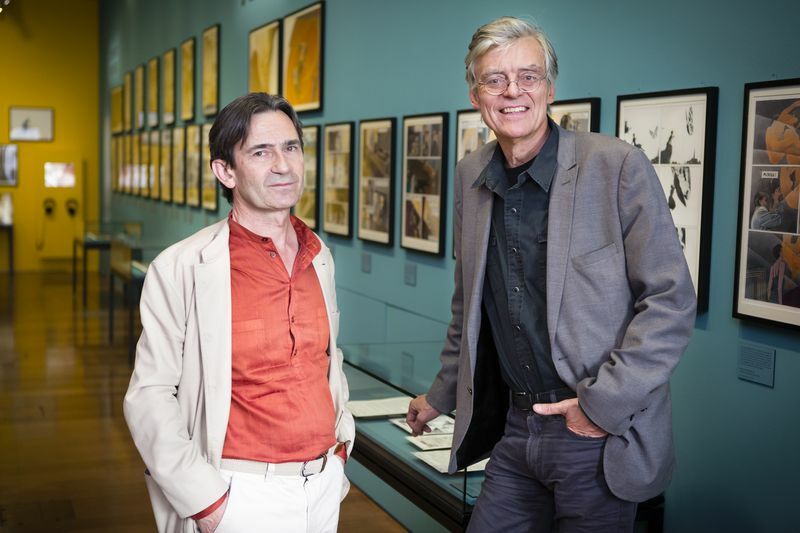 Peeters and Schuiten were invited at Le RenDez-Vous to tell about the album. A few weeks after the release of the album, another big exhibition started. Revoir Paris, l'Exposition is an exposition in La Cité de l'Architecture & du Patrimoine in Paris that opened at November 20, 2014. It gives a view on the architectural history of Paris seen through the prism of François Schuiten and Benoît Peeters. The exhibition will be held until March 9, 2015. The idea of ​​this exhibition, which takes place in the “Cathedral” of La Cité de l'Architecture & du Patrimoine, is to engage in lively manner a set of old or recent utopian representations of Paris (drawings, paintings, models) and the many images made by François Schuiten around Paris: the metro station Arts et Metiers, the novel by Jules Verne Paris in the twentieth century, the Greater Paris project and the new album Revoir Paris.